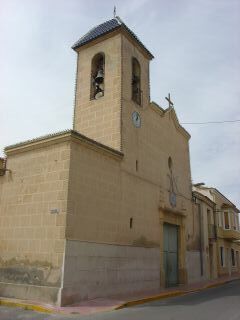 Daya Nueva is a small town located within the Vega Baja region, 10 minutes inland from the Guardamar beach, in the province of Alicante. Daya Nueva is a quiet place and is surrounded by orange and lemon groves. ‘Daya’ is an Arabic term meaning "small closed depression". ‘New’ comes because it was segregated from it other small town, Daya Vieja, in the first half of last century. What began as a Moorish mosque in the middle of this century, ended up belonging to Orihuela until 1791 together with Daya Vieja. In the sixteenth century Daya Nueva was formed, and after joints and succession arrangements, in 1928 the Roca de Togores family took possession. The main economic activity has always been irrigated agriculture, with production of citrus, artichokes and potatoes, although it is progressively turning into a city of services and residential tourism. Daya Nueva boasts several bars, restaurants, and a variety of shops, banks, a supermarket and a primary school, as well as an outdoor municipal swimming pool, built in 2004, that is open during the summer months. Much of Daya Nueva’s popularity lies in its ability to effortlessly combine the traditional Spanish village atmosphere with a modern day town. The local townspeople are very friendly and actively welcome the international community that are making Daya Nueva their home in Spain. See below to view a selection of our bargain properties in Daya Nueva.